The season of spooks is upon us! As you pull out your most-loved decorations, dusting the cobwebs off of your . . . well, cobwebs . . . consider what a few new trendy pieces can do for your haunt. And who doesn’t love a project the little witches and warlocks can help out with? Try this simple but stunning wreath perfEEKt for hanging on a door. Keep an eye out for all the other tricks and treats we’ve brewed up for the month. Until we see you again, happy haunting! That wreath is as cute as can be! I love the banner.va great idea for Christmas. Just change the paper to Yuletide paper pack or Snowhaven papar pack. Beautiful banner. Wonderful projects with fantastic details. The wreath is so cool! Love the wreath. The idea would work for any holiday and a good way to use up scraps you just can not throw away. Beautiful projects! Love them both! 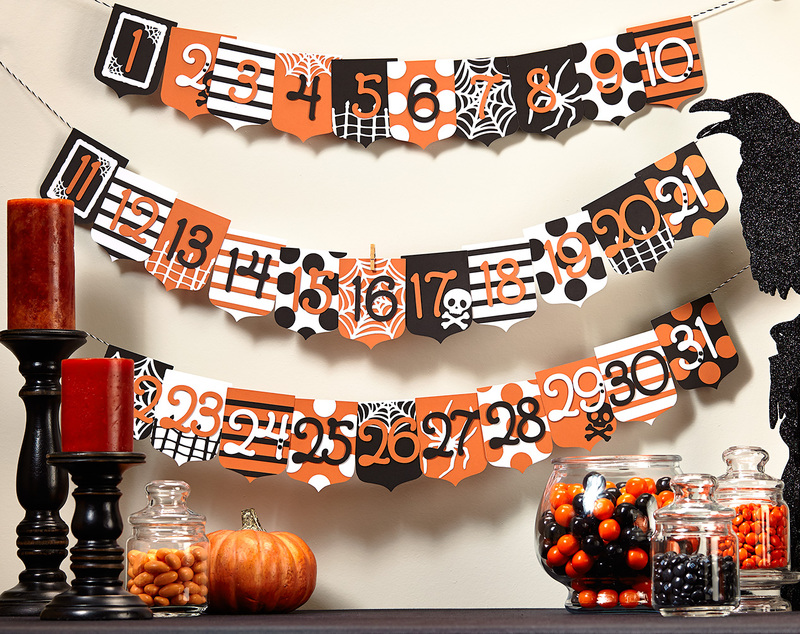 Love those banners, especially the spider webs! What great Halloweenie projects, nice! Love the new blog and the wreath!!! How did you attach the paper to the wreath? What adhesive did you use? 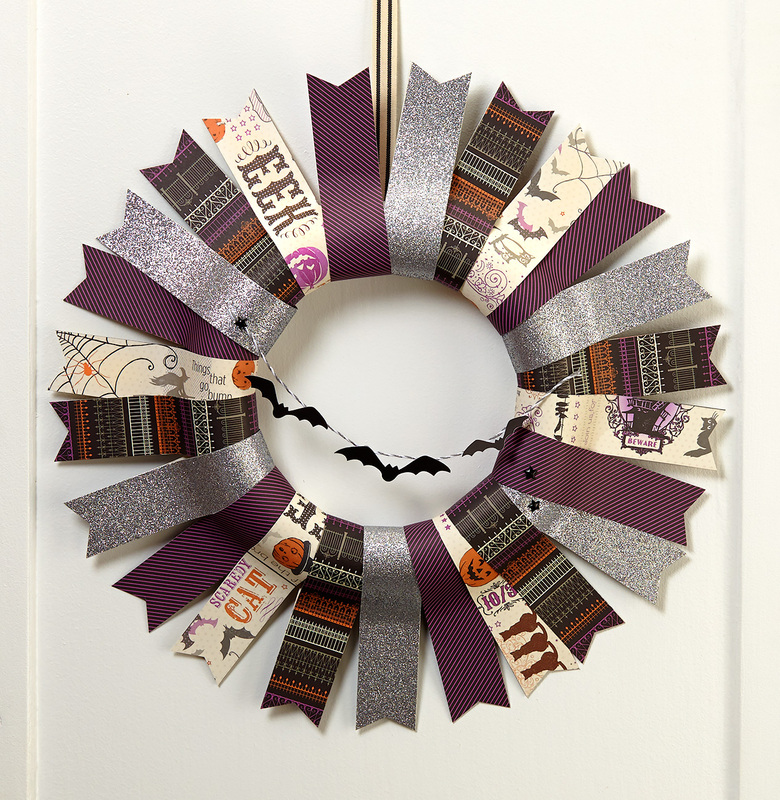 I LOVE this wreath and would love to make an Easter version, but what are the sizes of the paper strips, please.